Mold is a naturally occurring fungi, much like mushrooms and yeast. Hundreds of species of mold can be found in both indoor and outdoor environments. While many of these species are perfectly safe, others can be hazardous to your health, especially when they grow inside your home. 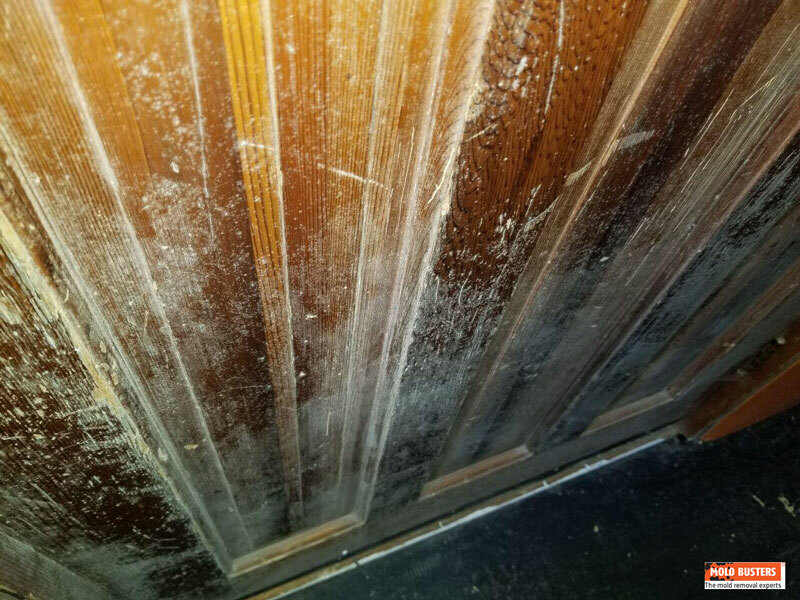 While most people tend to focus on black mold, also known as Stachybotrys, only a few are concerned about white mold growing within a building or home. However, white mold can also be very dangerous and should be dealt with as soon as possible. In this article, we will outline the best ways to identify white mold in your home and remove it safely and effectively. Where to find white mold in house? How to identify white mold? How to remove white mold? 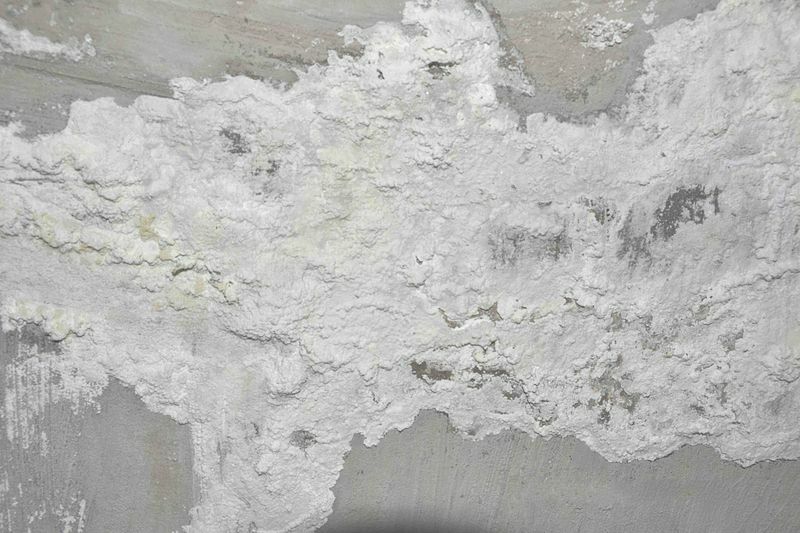 White resembles many other molds and thrives in wet or musty environments. Many homeowners don’t realize that they have a white mold problem because of its colour, which makes it difficult to detect. 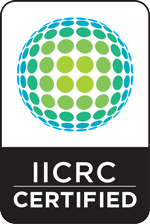 It can grow on plants, fabric, food and other organic materials like drywall, wood and carpeting. This makes it a threat not only to your health, but to the structural safety of your home. White molds can either remain white or change to green, black, grey, or practically any other colour over time. When they first develop, white molds are very hard to detect since the spores are so tiny that they can only be seen under a microscope. Once colonies form, however, white molds appear as spots on a surface. They can be flaky, powdery, stringy or filmy at first glance. They can also resemble mildew, which is the early stages of mold. However, mildew is relatively harmless when compared to white mold, which can grow not just on surfaces but also deep within organic materials. Aspergillus is a genus composed of 100 different mold species from all different climates. These molds are generally black in colour and toxic. Cladosporium molds are olive green or blackish-brown in colour. They can be found indoors and outdoors–most commonly on living or dead plant materials. Penicillium molds are greenish-white in colour and most often found growing on bread and other food. They can be used in the production of cheese and are famous for being the main ingredient in penicillin-based antibiotics. What is the difference between white mold and black mold? Black mold (Stachybotrys chartarum) is one of the most well known mold species because it’s the most harmful of all the molds found in indoor environments. It is typically greenish-black in colour, which makes it easy to distinguish, especially when found growing in areas of high moisture. 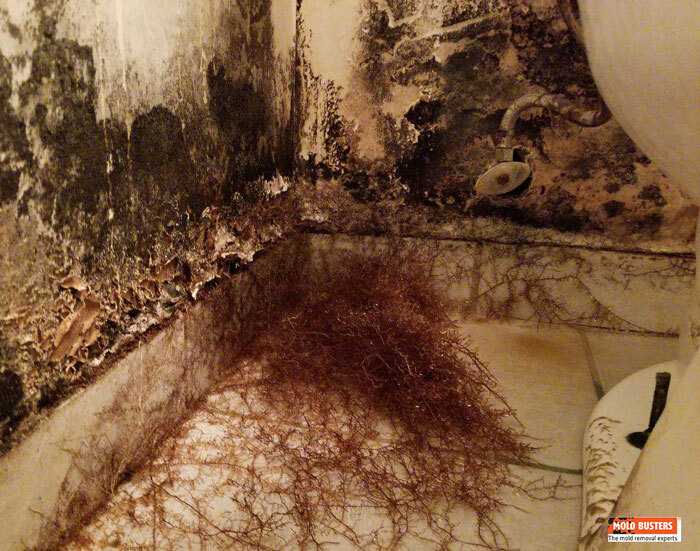 Black mold is considered highly toxic mold and poses terrible health risks. 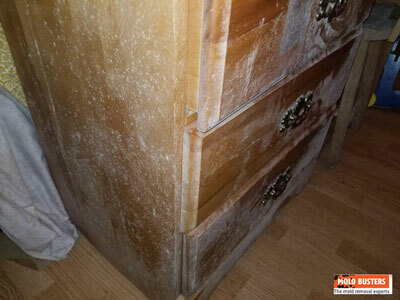 On the other hand, white mold is a powdery, stringy, flakey, or filmy substance that can change colour or remain white, making it difficult to identify. Generally speaking, white molds present less health risks than black mold. How to differentiate between white mold and efflorescence? White mold and efflorescence look a lot alike. In fact, they’re so similar that people often mistake one for the other. Both are white in colour and found on walls and other building materials. Understanding what both substances are and how they form will help you to determine which one is making an appearance in your home. So what is efflorescence? Simply put, efflorescence is salt deposits commonly found on concrete and brick. It develops when water evaporates from concrete or brick, and leaves behind a salty residue on the surface of the material. However, efflorescence causes only cosmetic damage and will not threaten the structural safety of your home. Likewise it also doesn’t pose any risk to your health. Efflorescence is not harmful. It won’t make you sick, but white mold will. White mold gives off a distinctive odour while efflorescence not. Like other molds, white mold grows due to high moisture levels combined with the presence of a food source, and the right temperature. Common food sources for white mold include wood, drywall, carpeting, laminate, insulation and any other organic, carbon-rich material. The best temperatures in which mold grows is between 2 and 40 degrees Celsius. As white mold spreads, it eats away at the material it is growing on. If this happens to be drywall or wooden beams, white mold can lead to both cosmetic and structural damage of your home. Where can you find white mold in your house? White mold can grow practically anywhere in your home, as long as the three conditions listed above (moisture, food source, temperature) are met. That said, some areas of your home are more likely to foster mold growth than others. White mold in basements: Have you ever noticed that your basement tends to be cooler than any other room in your house? While this can provide much needed comfort in the hot summer months, it can also be promoting mold growth. Here’s how. When warm outside air comes into contact with the cold basement walls, it condenses, creating moisture droplets on the walls. If this moisture isn’t dried promptly, mold will soon start to grow on your basement walls. 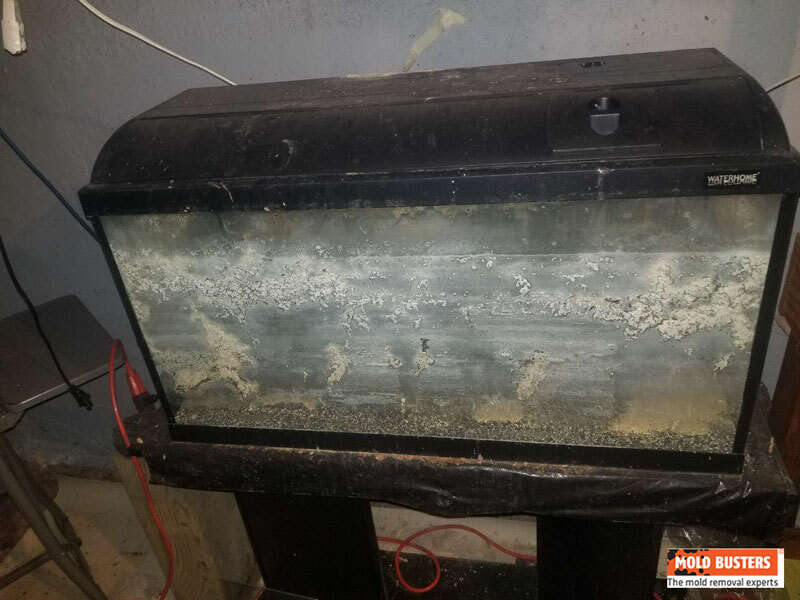 Dampness from the soil outside can also bring in extra moisture to the basement, creating a wet and humid environment perfect for mold growth. And because basements often lack proper ventilation (and are prone to flooding), they make a great breeding ground for white mold. 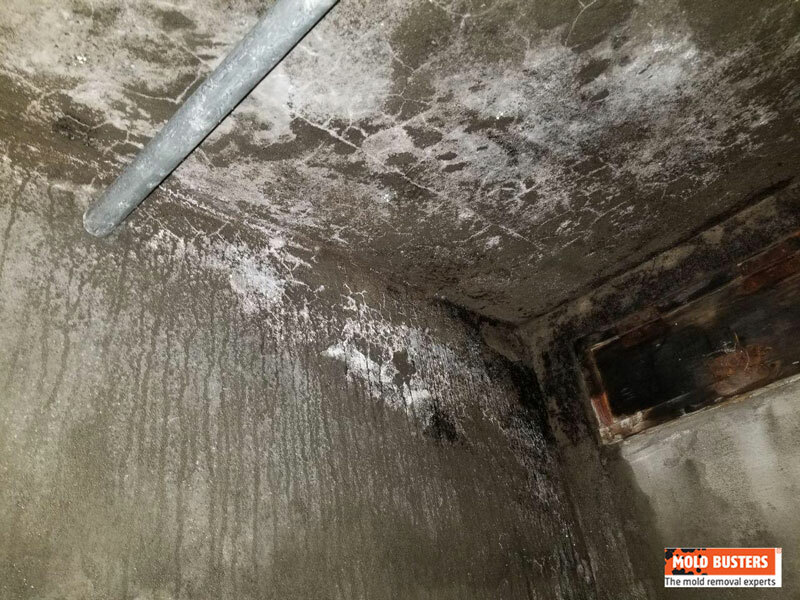 Ways to tell if you have a mold in your basement are a earthy or musty smell, condensation on the walls, bubbling paint or wallpaper, and discoloration on walls, ceilings, carpets, or furniture. If you notice something that looks like efflorescence, examine it closely and remember the tips we gave you on distinguishing between white mold and efflorescence. White mold will look white, cottony, flakey, and stringy and grows on organic materials. White mold in attics: Attics contain plenty of food sources for mold including wood and insulation. 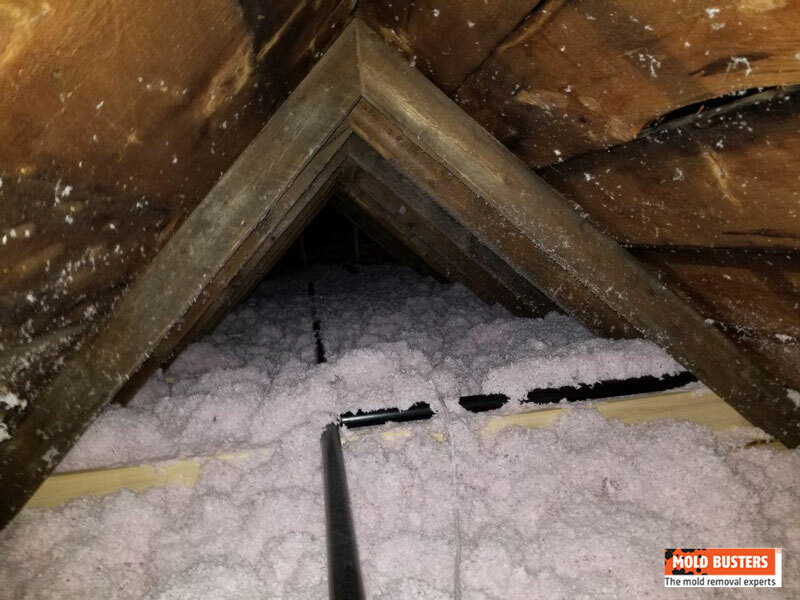 As such, roof leaks from rainfall or melting snow, condensation resulting from temperature fluctuations, and/or leaky pipes can give mold the moisture it needs to thrive in attics. 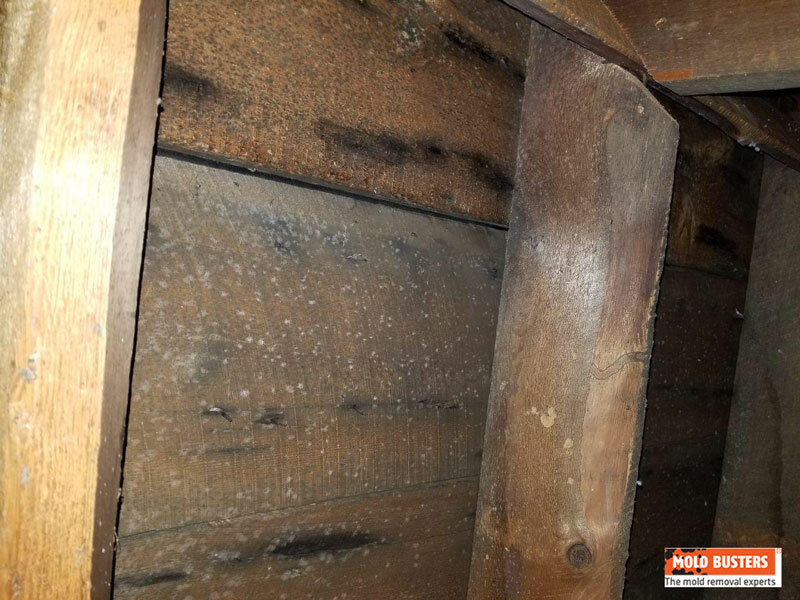 White mold in crawl spaces: Crawl spaces are typically very tight spaces that are difficult to dry once moisture makes its way inside. Several reasons why mold tends to grow in crawl spaces are leaking pipes and plumbing, high humidity due to poor ventilation, and foundation cracks that allow water and moisture to enter. For all these reasons, many people question the practicality and necessity of crawl spaces. 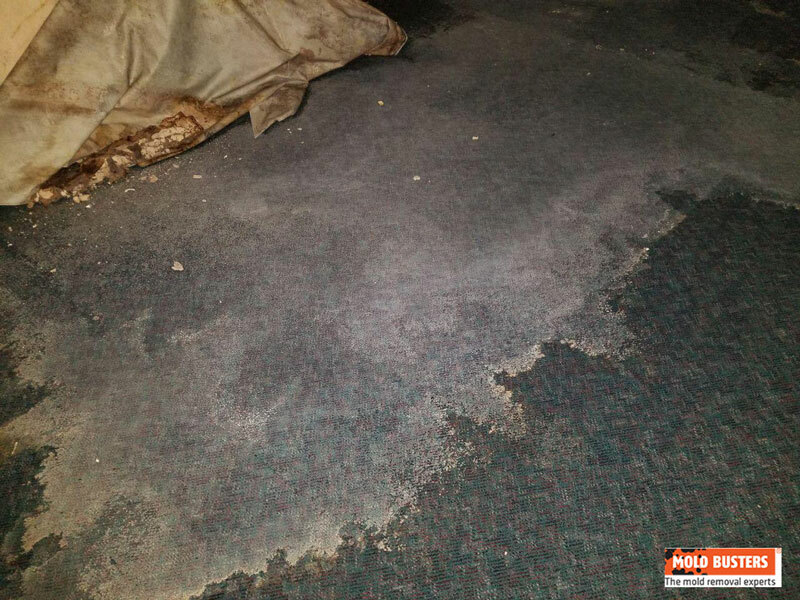 White mold on carpets: As most of us know, wet carpets are very difficult to dry, especially when we’re talking not just about a small spill, but a large leak or flood. This is when bacteria and mold have the opportunity to thrive. It is important to avoid carpeting your home below ground level or in rooms that are prone to spills, high humidity, and flooding (e.g. basements, kitchens, bathrooms and laundry rooms). Luckily, moldy carpets are fairly easy to recognize as they will give off a strong musty odor and cause allergic reactions. Try to clean and dry wet carpets promptly in order to avoid mold spreading to the subfloor. If this happens, you will likely have to remove and replace your entire flooring system. 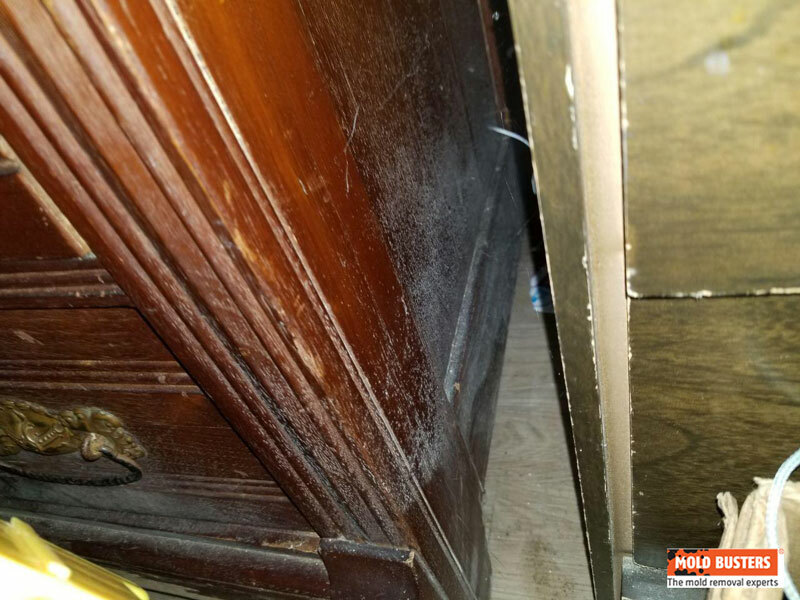 White mold on wood: Unfortunately, white mold loves wood, which means that your hardwood floors, furniture, cupboards and structural components of your home (beams, joists, etc.) are at risk. If you’ve had a recent moisture intrusion, keep an eye out for the most common sign of white mold on wood: discoloration in the form of white spots or blotches. White mold on plants and plant soil: White mold that grows on plants or vegetation is referred to as Sclerotinia. Because mold spores can become airborne easily, it is important to control the problem right away. There are several signs of mold growing on plants. Water-stained spots will appear at the root even though the remaining part of the plant will look healthy. The plant may be wilting and discolored at the root. Or, there may be brown lesions on the plant and, from these lesions, a dense white cottony patch will form. White mold can also appear on and spread through plant soil. Overwatering a plant, poor drainage, and old soil can promote mold growth. The best mold prevention for plants is not to overwater them, to remove weeds that carry diseases, to use fresh soil, and if possible to remove all crop residue after harvesting. 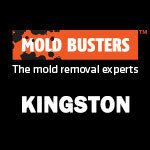 Mold spores survive winter conditions so it is best to deal with the problem as soon as you see it. 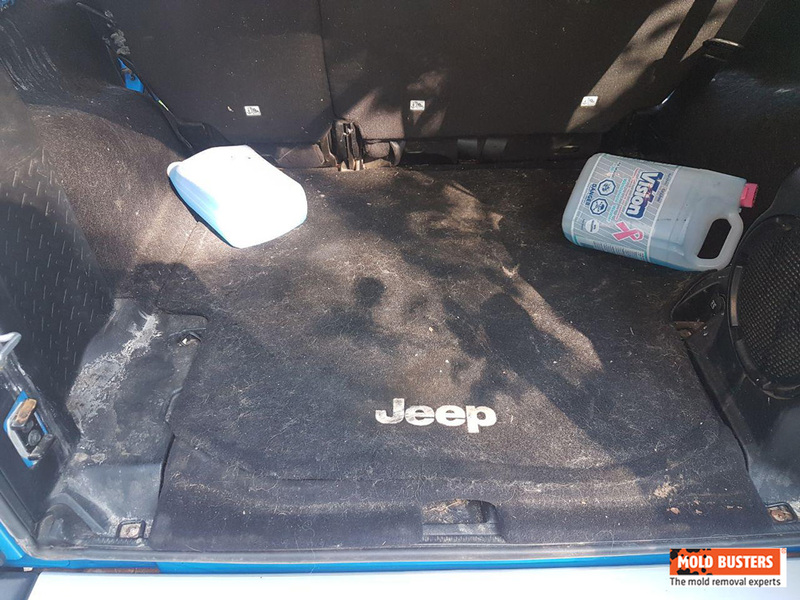 White mold in your car: Even though your car isn’t technically your home, it is still one of the more common places we have found white mold. The truth is that moisture can easily make its way into your car, whether through the air conditioner, a poorly sealed window, door or sunroof, a spill, or simply an open window. Once mold has started growing inside your car, it can quickly spread onto upholstery, carpeting, and seats–ultimately destroying your vehicle. And if mold has gotten inside your car’s air conditioner, it will circulate through the air and expose you to potentially toxic mold spores. The best indication that your car has mold is white spots or an earthy odour. While mildew and similar types of mold are less of a danger and more of a hindrance, white mold is a health hazard. Inhalation of white mold spores, especially over a long period of time, can cause mold-induced asthma, allergic fungal sinusitis, allergic bronchopulmonary aspergillosis (danger for those with asthma or cystic fibrosis), and hypersensitivity pneumonitis. 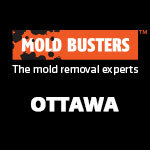 Allergenic molds cause allergies as well as asthma. When you come into contact with these types of molds, your respiratory system flares up. Around 20-30 % of individuals have a allergic reaction to mold that can lead to rhinitis, otherwise known as hay fever. Minor reactions are congestion, rash, and itchy eyes to very severe reactions of swelling, difficulty breathing vomiting, diarrhea, vomiting, and mental confusion. 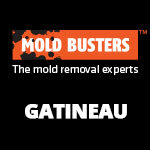 Pathogenic molds are able to cause more serious diseases. For people that have weak immune systems, these types of molds can severely affect the person’s already compromised health. Minor reactions are skin irritation, nail infections, and athlete’s foot while severe reactions are life-threatening infections of organs. Toxigenic molds release substances called mycotoxins, which are extremely harmful to humans. Pathways of exposure to these molds include ingestion, inhalation and direct contact (touch). Depending on the individual, the duration of exposure, and the pathway of exposure, reactions to toxic molds can range from irritation to lifelong illness. Some of these deadly illnesses are hormone disorders, liver damage, nervous system disorders, and cancer. Most white molds tend to be allergenic or pathogenic. However, regardless of the type of mold you find growing in your home, you should always consult qualified professionals about how to remove the mold toxin from your home safely and effectively. Most of the time, you can identify white mold by examining its colour, texture, and odour. 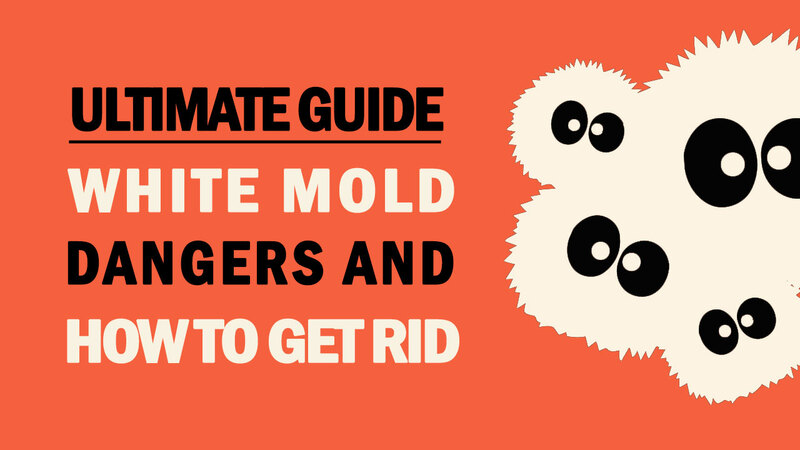 If it is fluffy, white, slimy and carries a specific musty odour, it’s likely white mold. Meanwhile, black or olive green discoloration will most likely be black mold. However, mold doesn’t always grow in plain sight, which is why it is important to get your home tested for mold as soon as you suspect a problem. While some types of mold and mildew are easy to remove with household products like vinegar, white mold is much more difficult (and dangerous) to remove on your own. It may have penetrated deep below the surface of the contaminated material or it may be growing in places you aren’t even aware of. 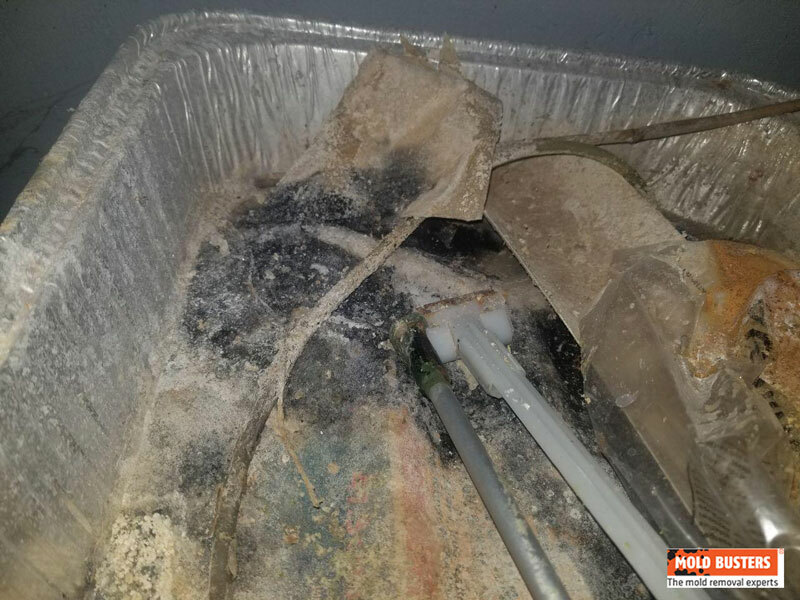 Furthermore, do-it-yourself mold removal always puts you at risk of spreading the contamination and exposing yourself to toxic mold, which can lead to serious health effects. 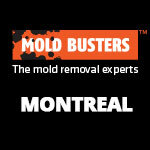 Furthermore, most people do not possess the equipment or know-how to remove toxic mold safely and effectively. Whatever you do, don’t let mold grow in your house for a long time. 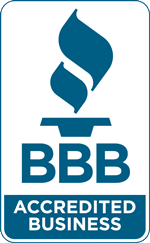 Contact a certified mold removal expert to explore all remediation strategies and help you pick the one that’s best for you. 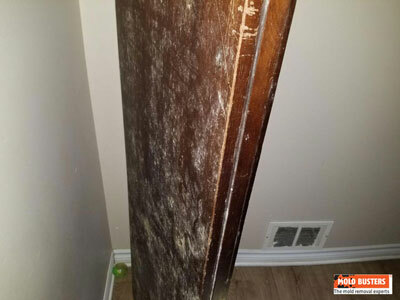 Due to its changing appearance and tendency to grow in areas of high moisture (much like black mold), white mold is not the easiest to recognize unless you are a trained and experienced mold professional. Furthermore, properly identifying white mold is only part of the problem. The other part includes finding the moisture problem that’s causing the mold growth and cleaning up the contamination effectively. 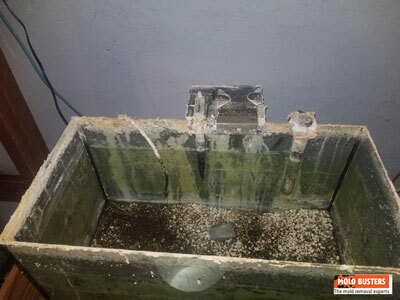 For this, it is always better to rely on a reputable mold remediation company.